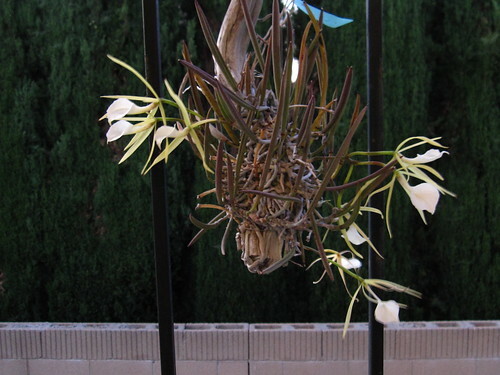 Since I put it in this current location in my balcony, my little Brassavol nodosa orchid has been blooming non-stop. Aptly nicknamed, the flowers of “Lady of the Night” perfume the air at night to attract pollinators. 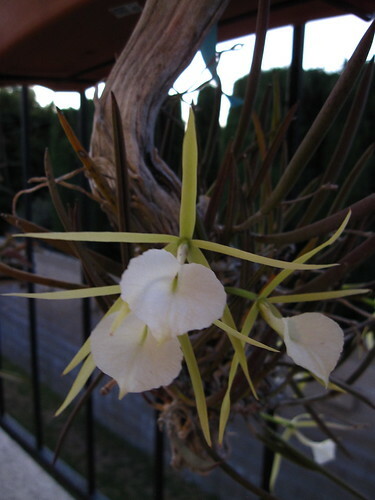 Quite frankly, its fragrance reminds me of strong chemical cleanser. But I am not its target, the moths are, so my opinion doesn’t really count.